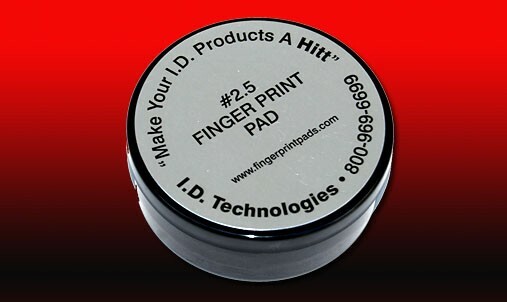 The 2.5 Light Ink - Fingerprint Pad, priced per quantity. Hard porous plastic surface. Considered to be a "semi ink-less pad” leaves a crisp, clear imprint, never smears, dries instantly and leaves no ink on fingers. Specially formulated, ink pad does not dry out if pad is left open.